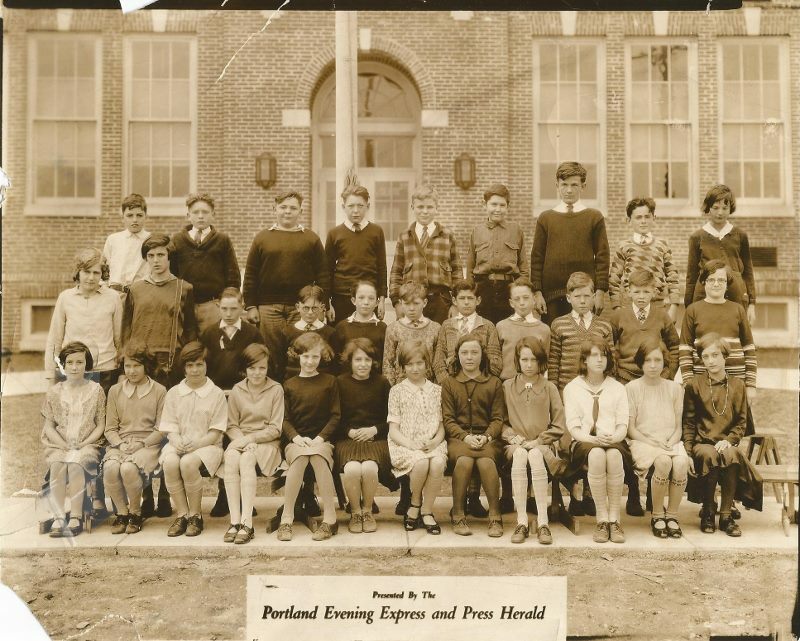 Designed by the celebrated Portland architect John Calvin Stevens and constructed in 1927, Roosevelt School has long been a center of activity on South Portland’s Meetinghouse Hill. 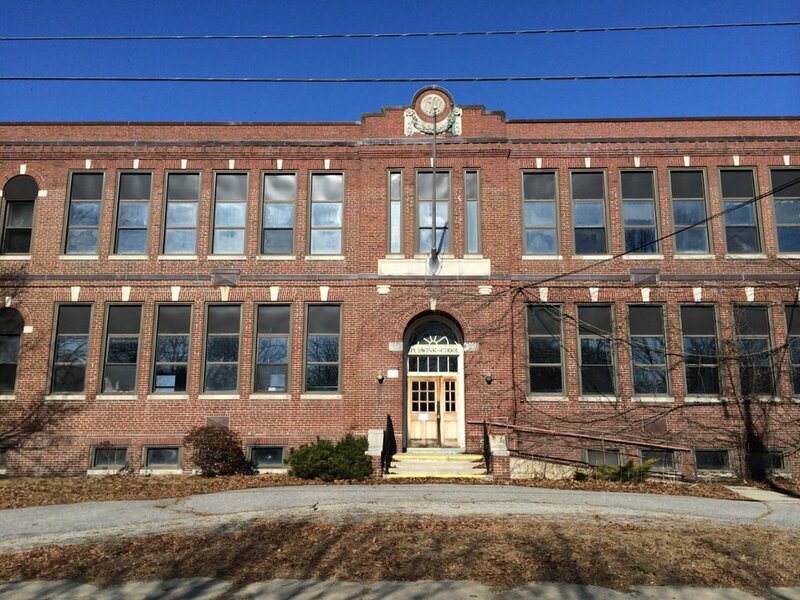 After the brick- and cast-iron public school closed in 1983, it continued to be used as an educational center. But after 2012 it was abandoned, and left vacant and deteriorating. Since developer Ethan Boxer-Macomber acquired it in 2014, the school has been converted into nineteen modern condominium units. Much of the parklike setting has been retained, with careful attention paid to protecting mature trees and maintaining public pathways. The walkability that characterized neighborhood schools in the 1920s made the new Meetinghouse Lofts instantly appealing for new owner-residents. Although this conversion required significant changes, special care was taken to retain the integrity of the exterior. Careful thought went into energy efficiency methods that would not compromise the historic brick, such as not over insulating and making sure moisture was not trapped in the wall to avoid spalling during the freeze thaw cycle. A modern addition was constructed at the rear of the building, where it is clearly differentiated from the historic fabric and does not compete in scale or detailing with the original materials. In the original portion of the building, the brick and cast stone were cleaned and repaired, and window and door openings retained wherever possible. Though historic wood windows had been removed by previous owners, new replacements matching the originals were fabricated; historic stairways and lobbies were also retained. 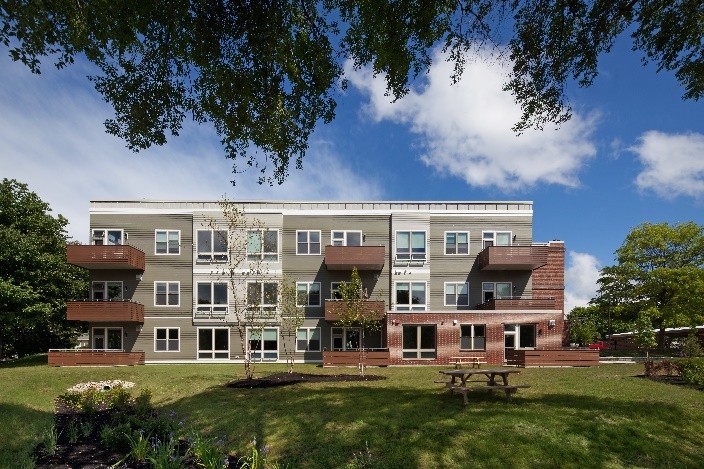 Meetinghouse Lofts epitomize creative adaptive reuse at its best. 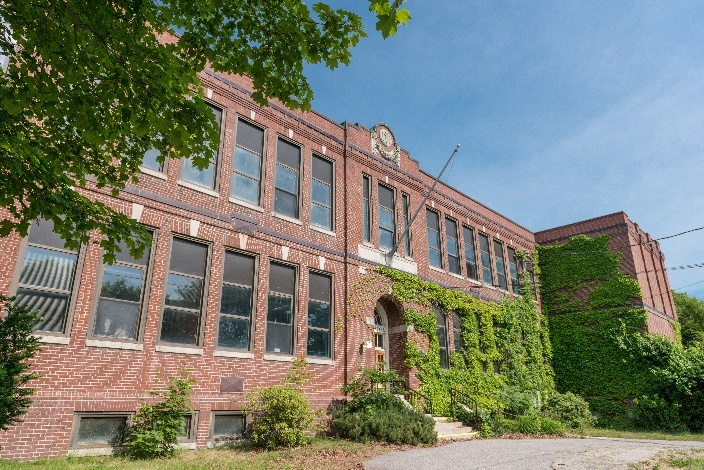 The handsome historic school building remains an instantly recognizable and integral part of 21st-century life on Meetinghouse Hill.